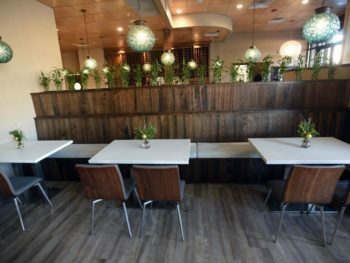 The restaurant is the follow-up effort from Celeste Glass. 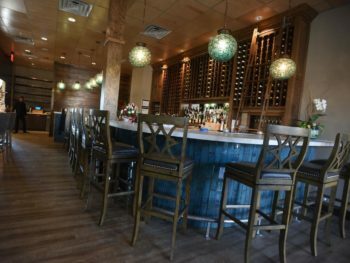 Local wine lovers likely know Celeste Glass through The Fortunate Glass, the restaurant she started in downtown Wilmington. 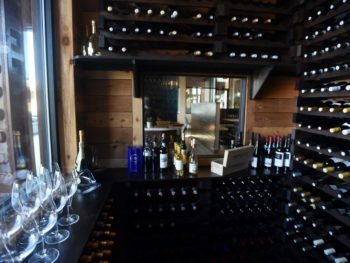 She and her staff earned raves for their extensive collection of reds, whites and bubblies, as well as their menu of cheeses, charcuterie and small plates. Still, Glass wished she was able to do more – have more room for a cocktail bar and a larger selection of beers. She wanted a space to host wine events and a bigger kitchen where chef Ryan O’Janpa could exercise his creativity. That’s how The Second Glass, a tapas and wine bar, came to be. 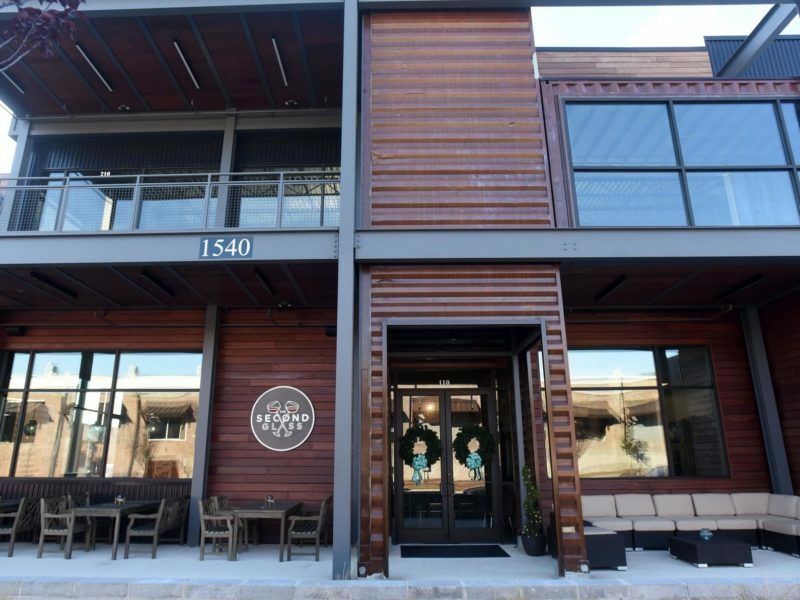 The restaurant opened in late November at 1540 S. Second St. and held a ribbon cutting earlier in December. 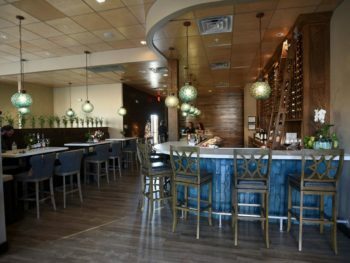 For the past several months, Glass has been focusing on this larger restaurant and wine bar in the developing South Front District, which is also home to Benny’s Big Time Pizzeria, Satellite Bar and Lounge and the Love, Lydia bakery, as well as other businesses. She sold the Fortunate Glass this summer and, meanwhile, has been able to create Second Glass as she wanted. “It’s been a luxury to build this from the ground up,” Glass said. One of the details that was important to her was the wine cellar. It can hold up to 1,000 bottles in a temperature- and humidity-controlled, cedar-filled space that can be seen as you walk in to the restaurant. Behind the bar, they can keep an additional 800 bottles, those available by the glass (or half glass). “That’s what I wanted,” Glass said. “A space for good wine, good service.” She takes both seriously, and wants to work with people who do, too. General manager William Mules has been on her staff for more than eight years. O’Janpa has been working with her for two and a half years. Second Glass also offers a list of specialty cocktails. The menu includes a selection of globally influenced bites, small plates and larger plates that can be entrees, or shared. All of which can be paired with the wines. 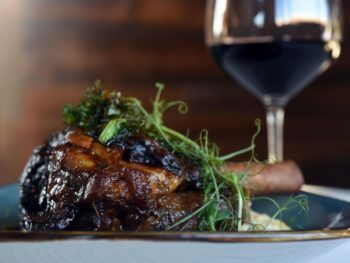 One of the first dishes he created for the menu was the North Carolina lamb shank, served with buttermilk polenta and braised greens. Other winners are the fingerling potatoes fried in duck fat, the deviled eggs accentuated with smoked trout and trout roe, and the light-and-lemony ricotta cheesecake. 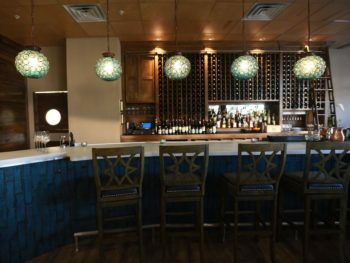 Second Glass recently started offering a free wine tasting 6-8 p.m. Mondays. Full story on Star News Online.